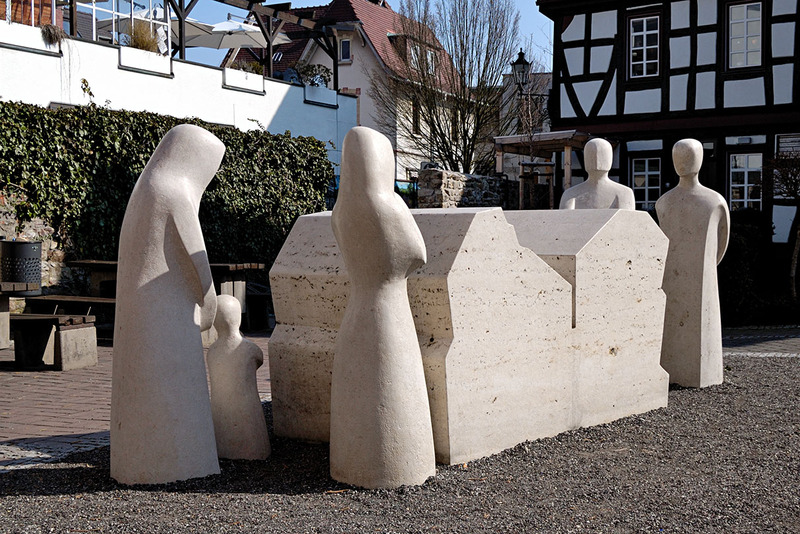 About the Monument | Initiative Opferdenkmal e. V.
To name the victims, to rescue them from anonymity – that was the idea that led to the creation of a monument in memory of the victims of persecution by National Socialism in Oberursel. Ernst Röder, the son of an Oberursel citizen murdered in Auschwitz, began the initiative. He sought for a place in his home town where the memory of the murdered is revered. In a nationally announced competition for a monument in Oberursel, the draft of Juliane Nikolai, at the time an 18-year-old student in Oberursel, was selected. 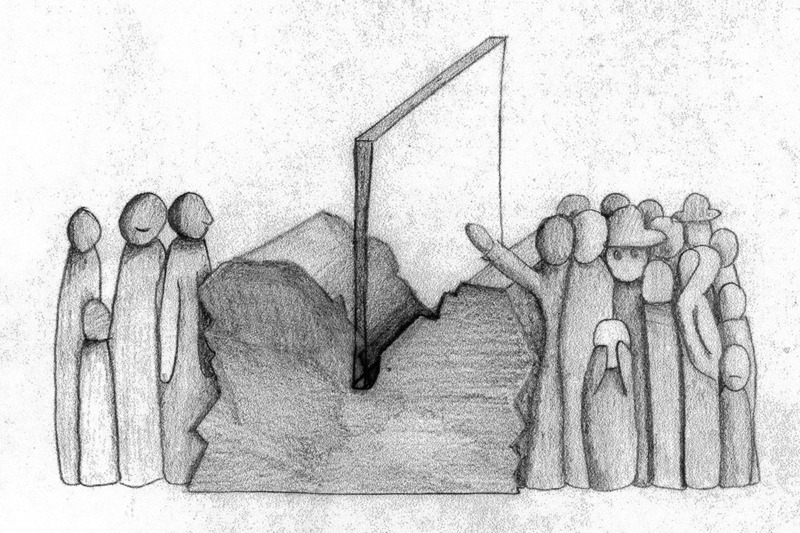 A vertical pane emerging from the center of a stone block divides two groups of figures facing one another – the persecuted and the majority of citizens. The names of the persecuted are noted on the pane. 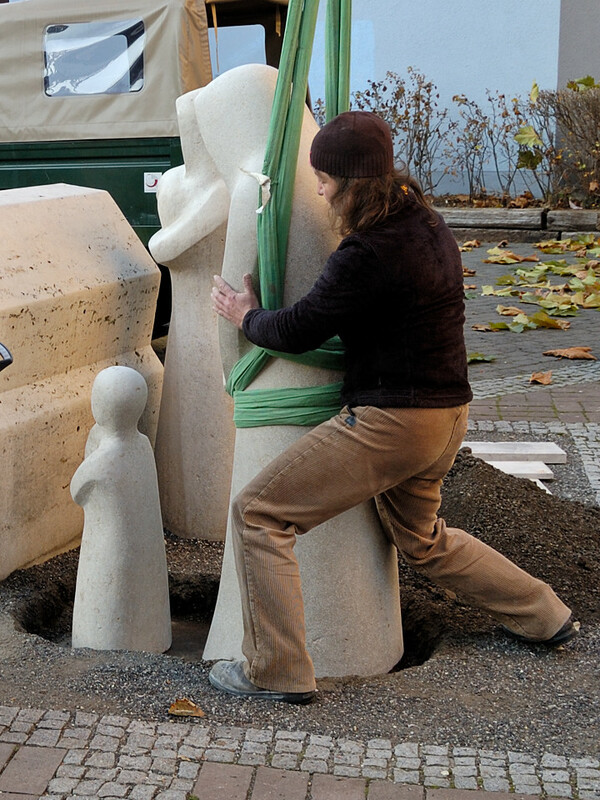 Since 2007 the sculptress from Oberursel, Christine Jasmin Niederndorfer, has been converting the draft into reality piece by piece. The monument has been completed in individual segments, as its realization depended upon the initiative of involved citizens. The mayor, Hans-Georg Brum, stated: “This is the initiative of a group of active citizens from whom the idea stemmed and who induced the financial impulses needed to complete the project.” The initiative, Memorial in Honor of the Persecuted, is reliant upon private sponsors. During planned events of various nature they have informed the public of the project and have earned the means by which the monument could be erected. It is still a while before the monument can be completed with all the figures, the glass pane installed and the names of the persecuted inscribed. With your donation you can contribute to the erection of a place of reverence in memory of the victims of National Socialism. How quickly insults and discrimination against our fellow citizens can lead to manslaughter and murder can be vividly perceived in the hostile and racist incidences of recent years. 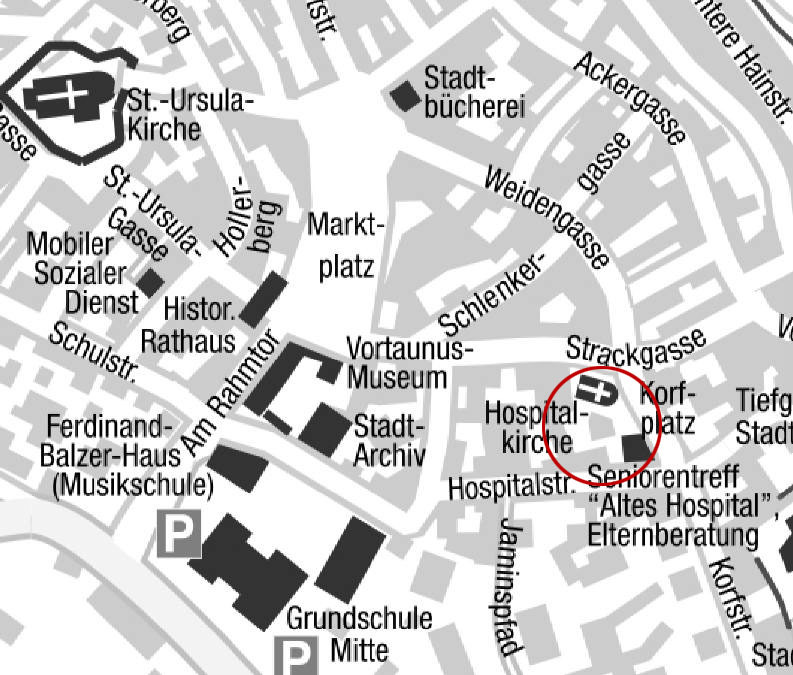 The monument is located in the courtyard behind the “Altes Hospital”. Dieser Beitrag wurde unter Denkmal abgelegt und mit English, Opferdenkmal verschlagwortet. Setze ein Lesezeichen auf den Permalink.